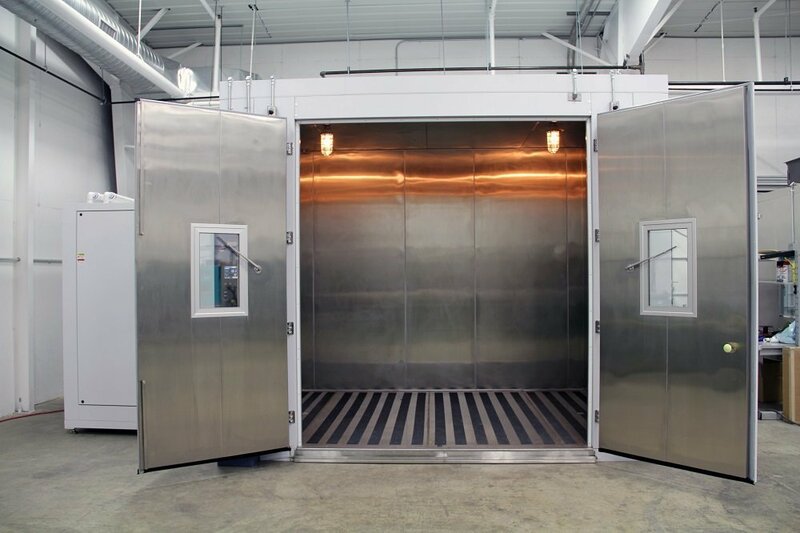 Three walk-in environmental chambers that have temperature and humidity capabilities. The ability to create oversized walk-in chambers to accommodate entire vehicles and extremely large pieces of equipment. Multiple reach-in environmental chambers, of which most have humidity capability. Two salt fog chambers including an oversized chamber with an approximate inside dimension of 8’ x 4’ x 4’. All necessary ingress protection (IP Code) test equipment including a large dust chamber, spray booth, drip pans and other equipment.